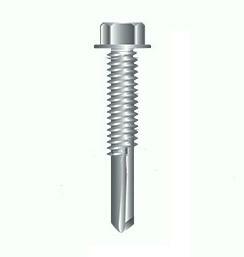 PRODUCT: #12-24 x 1-1/2", 5/16 HWH #5 TEK Screw, Zinc Plated, Steel-to-Steel Fasteners. Collated in Strips. Simpson Quik Drive X Series. 1500 Screws/Box. Price/Box. Suitable Material Thickness: .250 – .500. Total thickness of all steel including any spalling between layer. 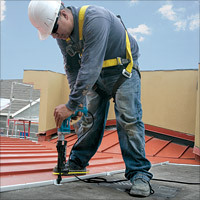 Coating: Quik Guard®. Also available in clear zinc coatings.